Blessings Received Each Appointed Day. We are a non-profit organization 501 (C) (3) that is celebrating it's 20th anniversary this year! All work is volunteer (we have no paid staff or board) and most of our food is donated. 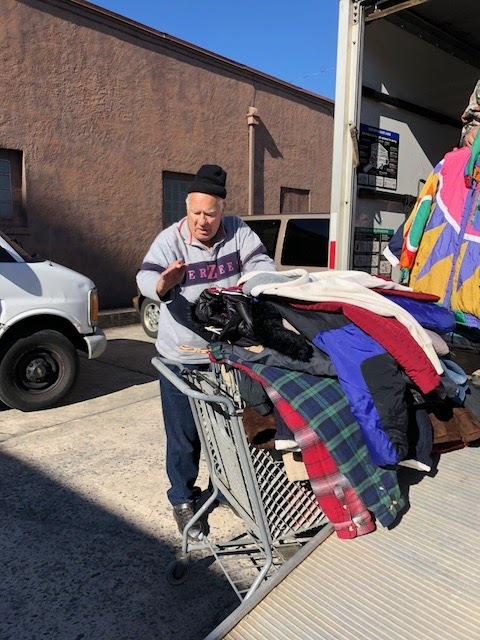 We share the love of Jesus Christ to those in need, by providing food and groceries to the homeless, elderly, and low-income individuals and/or families of Gaston County. Income to meet our monthly rent/utilities/food transportation costs comes from generous hearts like yours who care about those in need and from our God who has never let us down. Please check our Facebook page at B.R.E.A.D., Inc. We would love to share our stories with you. Warm jackets, boots, gloves, scarves, blankets in the winter time for homeless, etc. A small box truck with lift gate, or cargo van. Someone with a truck who could drive even once a week to help us. A larger building. We currently rent 3,700 sq. feet for $500/month and could really use a larger location. We need parking spaces and a lift door for shipments. Holiday Wish List: Food for holiday meal boxes. Canned: Green beans, corn, sweet potatoes. Boxed: Mashed Potatoes, Mac n Cheese, Stuffing. 2019 Serving an average of 175 clients/week. 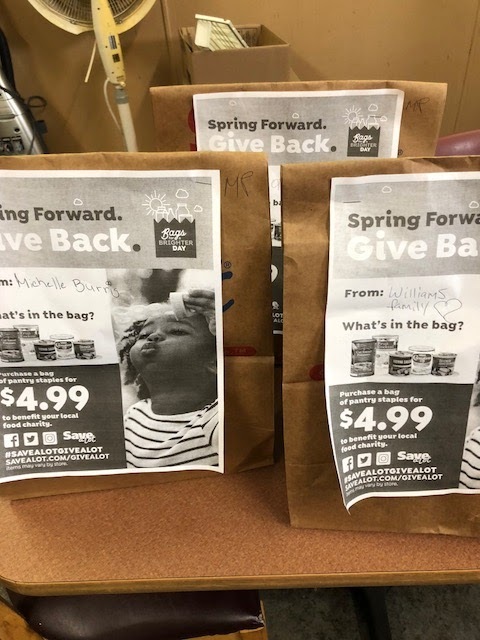 Thank you Save-a-lot and your Spring Forward Give Back program! We received bags of canned food (that we need most) to help us fill our grocery boxes! Some of the bags were signed by the loving hearts that donated them. Thanks everyone! What a blessing.Save-a-lot has great prices if you've never checked them out! Come see us at booth 32 at the Community Foundation Run Saturday April 11! Lots of booths and give-aways. 5K run, 2k walk, Junior Truck Fest, Healthy Kids Zone, lots of music and festivities. Run proceeds go to match funds to help area non-profits. Donations made to the Community Foundation by April 19 for your favorite non-profit are matched at about 40%. It's not too late to be a runner! Creative fundraiser at Truliant Federal Credit union in McAdenville is a big blessing! In December Truliant simply collected change by rounding up transactions from customers willing to donate. We were chosen to receive their blessing! A few days ago they presented us with a check! There are so many little ways we can help each other make the world a better place! Thank you for your thoughtfulness Truiliant! Plus donations from now til April 20 are turned to to receive match funds from The Community Foundation Run! 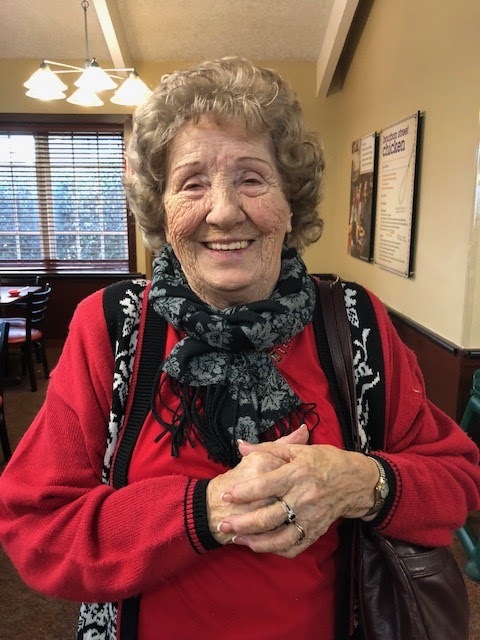 Our lively president, Dorothy Lowery, turned 92 today! We call her Sister Lowery or Mama Lowery because we all feel like part of her family. We wish her decades more of vitality and full life! She has given a huge part of her life to bless others and help those in need! We celebrated at Grandma Hoyts in Bessemer City. Talent Force brings donation to start off the new year with a blessing! Thanks for caring so much about your community! We will be CLOSED Christmas week and New Year's Week. Merry Christmas to you and may God bless us every one! Our preparation for Christmas holiday boxes begins! Trinity Assembly of God in Bessemer City opened their hearts and poured us out a blessing. They brought over 600 pairs of warms socks, a stack of warm coats, some gloves and scarves plus they collected food items and funds for our Christmas food boxes. (more details on facebook). A big thanks goes to some really big hearts! Our Thanksgiving distribution went beautifully. Thank you so much to EVERYONE who helped make it possible~! 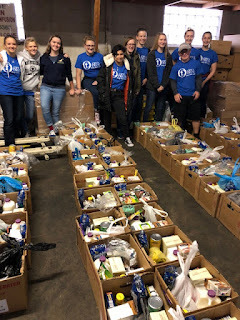 And special thanks to Opus Deum High School group who packed 104 Holiday boxes for us! One group is collecting socks and gloves for us to give to those who have none in the cold weather. 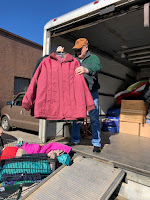 Any warm items like coats, sweaters, warm shoes, boots, scarves, blankets, and toiletries are always welcome. A brother/sister school project turned out to be a great blessing for us. Our packers for chips and crackers were out for Tuesday. They came at the perfect time to fill in. Their hard work resulted in a mountain of supply ready to go and they even restocked our chip room. They were sweet, enthusiastic, and did an AMAZING job! Thanks so much! We are closed for the 4th of July week. We hope you all have a wonderful time of celebration and family! Last week this time we had no one to represent BREAD in our 5K Run. Our runner got sick. The community-caring folks at Advanced Drainage Systems rounded up 2 runners for us last minute! The richest people in the world are the ones who have friends! Pictured below are Liam Facer, Katie Facer (cheering mom) and Brandon Bridges. Thanks ever so much ADS! We had a winner in the Community Foundation Run. Derek Widenhouse, a last-minute volunteer runner, came in first in his age category for men 60-64. He ran the 5k in 23 minutes 48 seconds. He won $250 for BREAD, Inc. Hurray! Thanks Derek! Come see us Saturday morning April 14 at our booth at the 5K Community Foundation Run benefiting local non-profits! We will have goodies to share and will love to meet you! We will be closed 1/18 due to snow!!! Our president turned 91 and she's still going strong! Happy Birthday "Sister" "Mama" Dorothy Lowery! She believes giving is living. She has defied medical diagnosis and doctors consider her a walking miracle. We are CLOSED Christmas Week and New Year's Week. We will re-open January 9 and 11. Thank you to all those who brought and collected food to help us have special Thanksgiving and Christmas boxes. 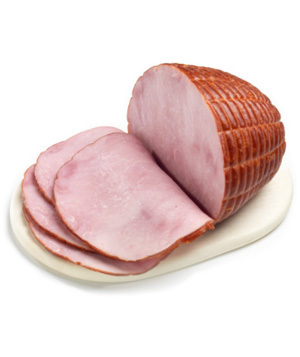 We were able to purchase hams to go with each of the 225 boxes we gave out at Christmas time and the 275 boxes we gave out at Thanksgiving to our clients in need. Thank you Aetna for the boxes your collected and brought in! Thank you to 2 day care classrooms that collected food and came to help us fill Thanksgiving boxes for the hungry in their community! 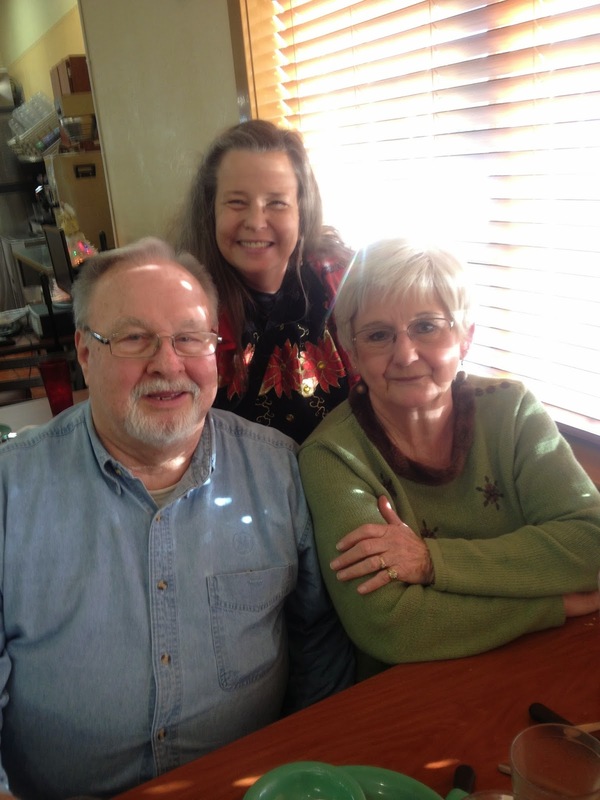 We would like to honor the memory of Terry Reid, a faithful volunteer and wonderful friend to all. He was well loved and a big blessing. He will be deeply missed. We send our love to his family. Services will he held Monday, Nov. 20 at McCleans in Gastonia, NC. Receiving friends is at 11-12 with services following. 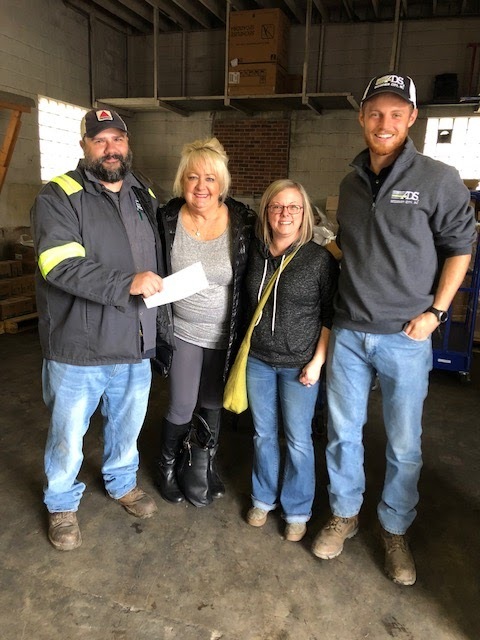 Howie and friends from CATO Rentals in Bessemer City brought great food items for our Thanksgiving boxes today from their food drive! Thanks too, to those who contributed funds to help keep us going! What fun! Everyone loved having Howie drop in! Great timing, we were packing a total of 300 special holiday boxes! 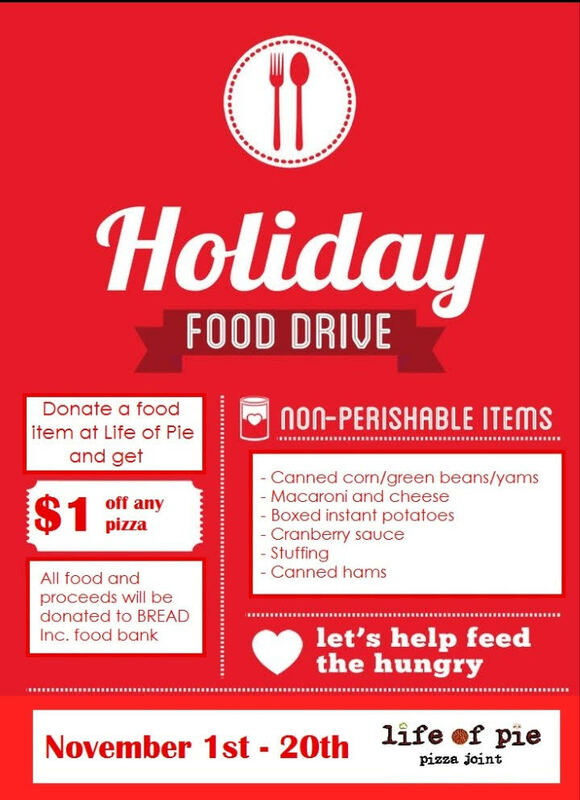 Try Life of Pie's delicious downtown pizza and support food drive with coupon! See our article in Gaston Alive! It's about what we do and our president Dorothy Lowery who is ...drum roll, please.... 90 years old! Items needed include: Canned corn, green beans, sweet potatoes, Boxed mashed potatoes, Mac n Cheese, stuffing, cranberry sauce, canned ham or $5 donation for buffet ham. These can be dropped off at our location on Tues/Thursday mornings or at the OCT 21 Fall Festival. Distribution of these boxes will be the week before Thanksgiving. We are closed Thanksgiving week. Any extra items we receive will be used for our Christmas boxes. Thanks ever so much for thinking of us! 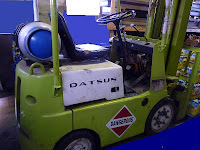 ADS has a plant in Bessemer City. They sold candy. The proceeds were put in jars under the pictures of various managers. The manager that got the most money in their jar would get the dunk tank. Several workers got together to dunk a certain manager. They called it Operation Floatee. 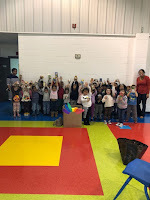 They brought popular food items and proceeds that we will use to purchase any extra items needed for our Holiday boxes. Thank you ADS and Lori (one cold, wet, dunked manager on October 20). Thanks to the 60+ good hearts that work in the clerk of court's office here. We received a trunk load of blessings to help us fill our food boxes with extra delicious things. We are grateful for all your care and support! 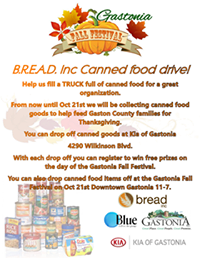 Kia of Gastonia is holding a canned food drive for BREAD! 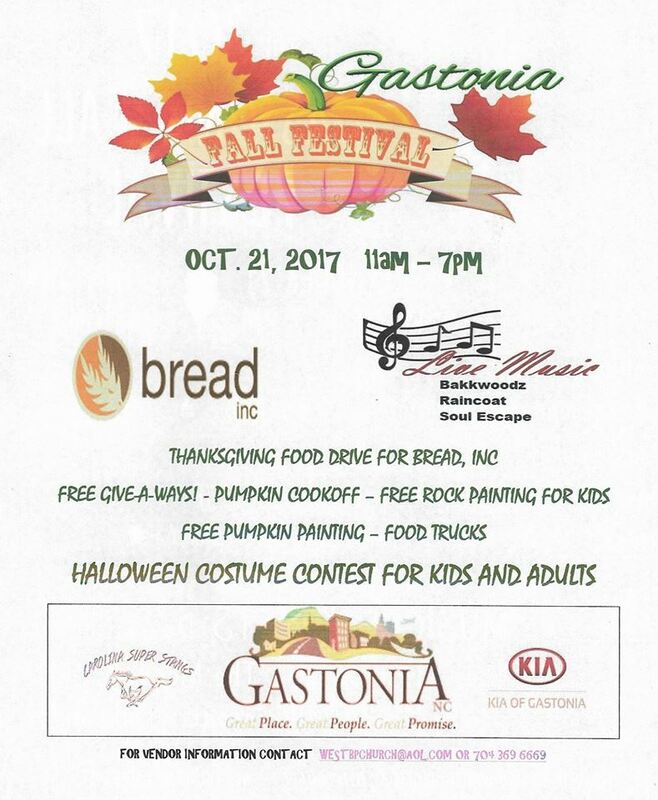 Come and join us Oct. 21 at Gastonia's fall festival! Exciting news for us! 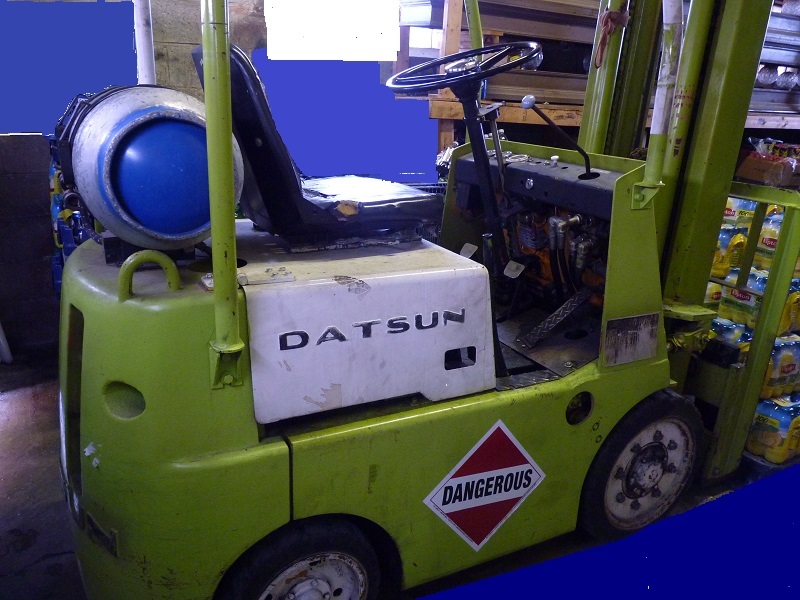 We have a new used fork lift! So you won't see it on our wish list any more. We have been saving for this and thanks to a few unexpected donations we can now unload pallets and move them around in our warehouse safely and securely. 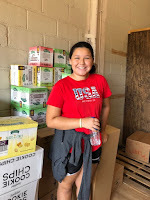 This girl scout troop has helped us in various ways through the years, with can drives and coming to help us on site. 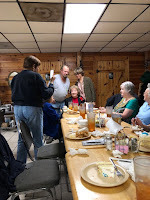 Well, they grew up and their troop decided that with their last funds they would help those in need in our community and presented us with a check delivered by their director. What a thoughtful and caring group of fine young women! Thanks ever so much! We are closed Memorial Day WEEK. This gives us a chance to restock and get a rest. Thanks! 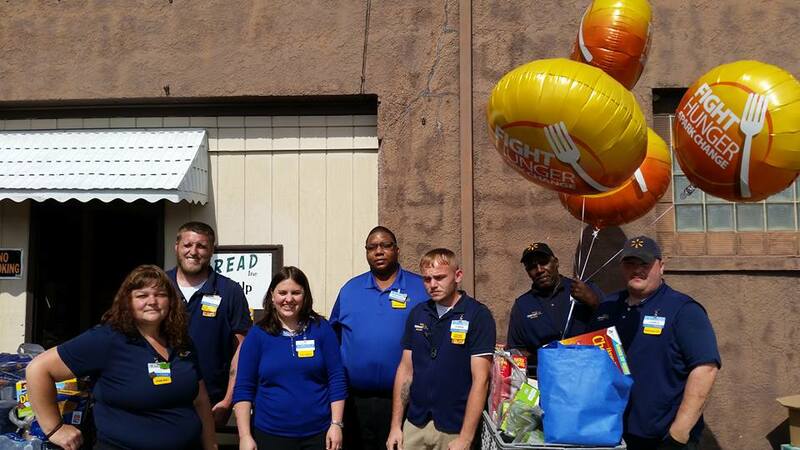 Thanks to Walmart for surprising us with $900 worth of food to help us take care of those in need! We are grateful for their community-minded staff. What a great bunch! 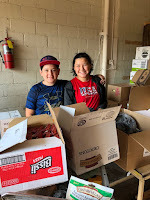 Jovan Sheshbaradaran is just 15 and started his own can drive through his church to help those in need in his community. He collected about 250 cans of food and brought it to us to help us provide food to our clients. What a fine young man! That's what we call initiative! April: We provided food 618 times this month. We will be closed for Spring Break on April 18 and 20. 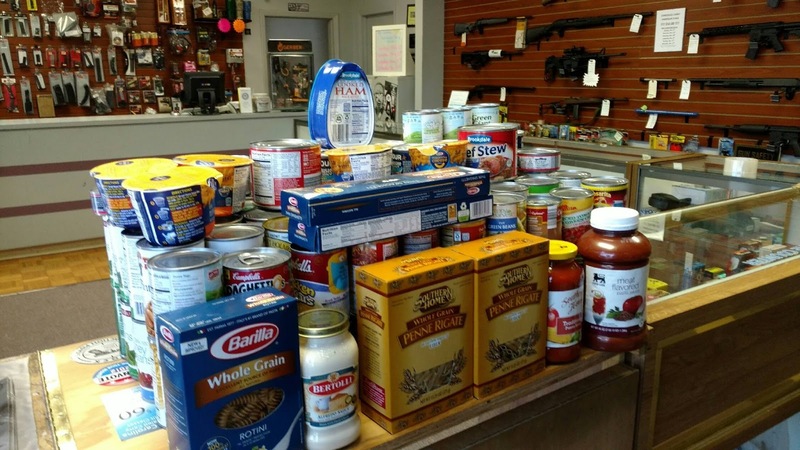 Thank you MAX GUN WORX, Gastonia for 250 food items in your promotion of cutting their gun transfer fees in half when food items are donated. Robert Webb (Rocky Top) former country western singer and song writer, ran the 5K race representing BREAD. The amazing part is that after a motorcycle wreck that sent him through the back and front windshields of a car and the back and front door of the business behind the car, a year in the hospital, filled with rods, bolts and screws, and told he would never walk; that he could run at all! He did the run in about 45 minutes. He's what we call an overcomer! He also volunteers for BREAD when he has free time! March: We provided food 990 times this month. February: Provided food 1170 times. Financial donations in February, March and April will be matched by the Community Foundation Run Proceeds at about 35-40%. Looking for fast runners in all age categories for the 5k competition to represent us at BREAD. January: Provided food 1235 times this month. 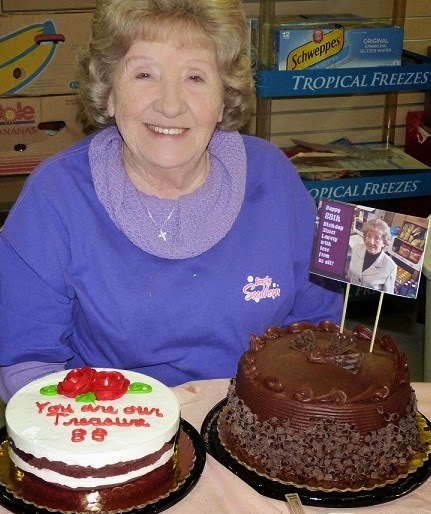 January 10 is the 90th birthday of our president and founder, Dorothy Lowery! We call her Mama Lowery and Sister Lowery, she has a hug for everyone. She has given the last 20 years of her life to help provide food for those in need. Years ago the doctors told her to stop everything and take it easy, with congestive heart failure she could drop dead any minute. But she decided to keep going. She believes giving is living! If you have a story to share about knowing her or a message you'd like to put in her birthday book, please email us! December: Provided food 909 times this month. We are CLOSED the last two weeks of December and we re-open January 3. Thank you to several families and businesses that brought food items from our wish list and warm clothes to share! Our Christmas boxes were filled because of your gifts. Gaston Clerk of Superior Courts office brought food. 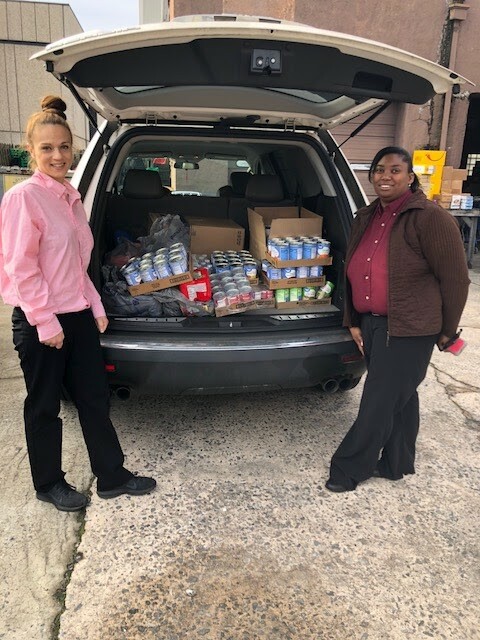 United Site Services brought 150 lb canned food. Support Inc. High School Class brought in canned food. A Charlotte service group named SALT (high school home schooled students) volunteered today and packed the 120 boxes we will be giving out on Thursday. Each box has about 20 items. It usually takes us about 4 hours pack that much and we are tired after a full morning of serving the public. This active bunch came in and got it all done in an hour and a half. Wow! What a blessing! Thanks SALT! Keep pouring out your energy and giving spirit! We sure appreciate you! After preparing special Thanksgiving boxes our supplies were really low for Christmas boxes. The gifts of each of these groups and those who have helped us financially came just in time for us to prepare 300 Christmas boxes for our clients. We are grateful for each one of you! November: Provided food 915 times. Thanks to Mac Gun Worx! This creative, community-minded local business cuts their $20 gun transfer fees in half when customers donate food items for our food bank! They offer concealed carry classes as well. Check out their business! Tiftfany brought 130 food items that arrived at the perfect time to put in our 300 Thanksgiving boxes. 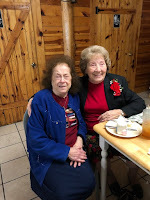 See Tiffany below with our president Dorothy Lowery. October: Groceries provided 1037 times for 3573 family members. Thanks to Elected Gaston County Clerk of Superior Court, the Honorable Lawrence Brown Jr.! 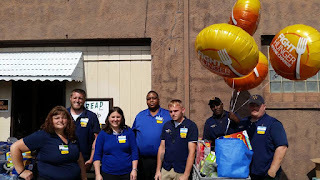 His offices held their annual BBQ and sent the profits to BREAD, Inc. to help us take care of families in need! Thanks to the Teen Service Group at Grace Christian Academy who came used their time and talents to help us get all sorts of work done! Great bunch! 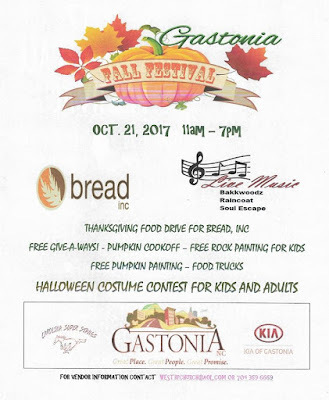 Gastonia's Zombie Walk, OCTOBER 1 is collecting canned food for Bread, Inc. to help us provide food for struggling needy families in Gaston County (mostly in the downtown Gastonia area). We are thankful for their thoughtful generosity! 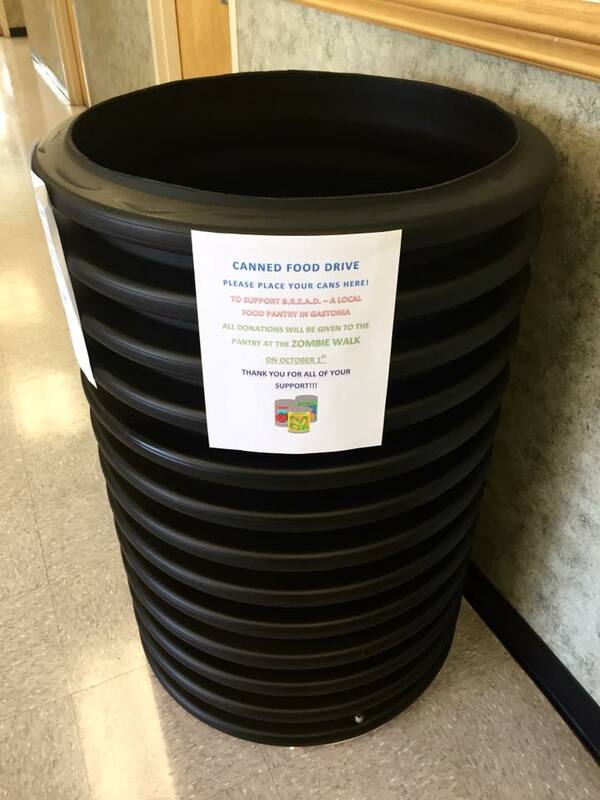 Thank you to Advance Drainage Systems for collecting food and donations for us! 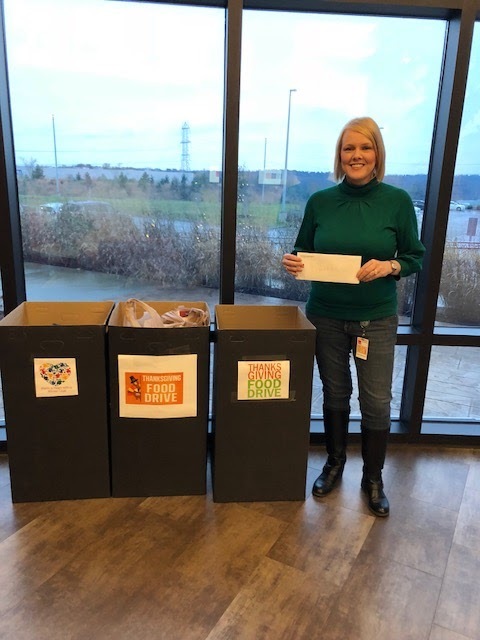 This time of year donations are especially appreciated as we prepare extra supplies for our Holiday food boxes and bring in winter supply needs. We are grateful for you ADS! From pie eating, throwing and other fun fundraisers they raised $582 to help us care for families in need! United Way contributors in Gaston County can now select BREAD, Inc. as an organization to receive funds. We are now a part of Donors Choice, giving givers more options to designate where they want their financial gifts to go! Thanks to District Attorney Locke Bell and his bees! 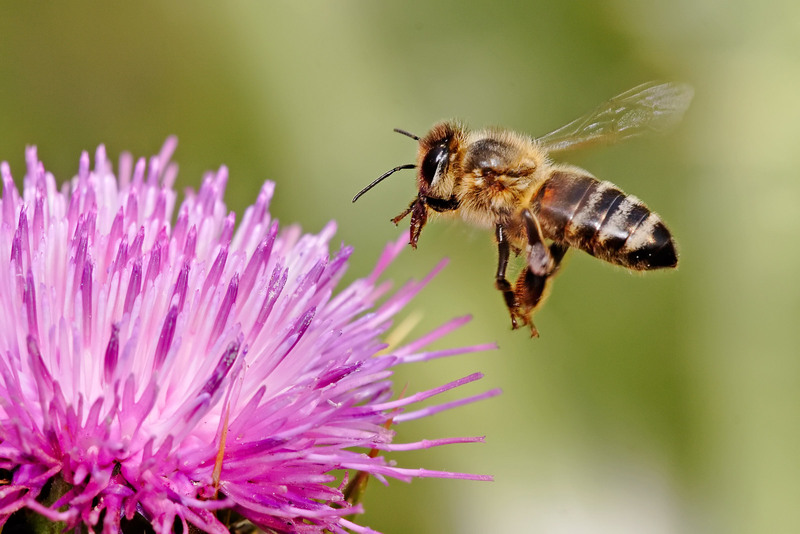 Our district Attorney has been selling the honey from his bees and saving the profits for BREAD, Inc. So really his bees are helping us feed the homeless, elderly, jobless and struggling families. How's that for some unique giving! We appreciate the creativity, resourcefulness and giving heart of Locke Bell! July: Groceries provided 826 times this month. June: Groceries provided 1069 times this month. May: Groceries provided 1062 times this month. April: Groceries provided 833 times this month. 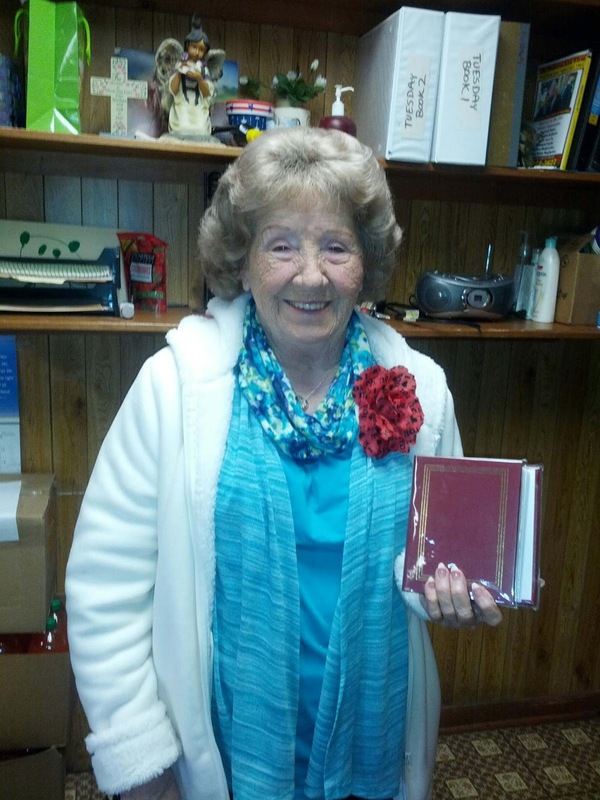 We would like to honor the memory of our former volunteer Shirley who passed away this month. 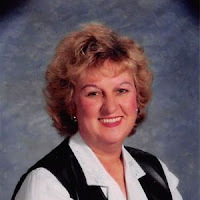 She was a retired school teacher in Gaston County and had a great love for children and education. After retiring from teaching, Shirley volunteered with us at B.R.E.A.D., Inc. We are so grateful for her loving service to help those in need! 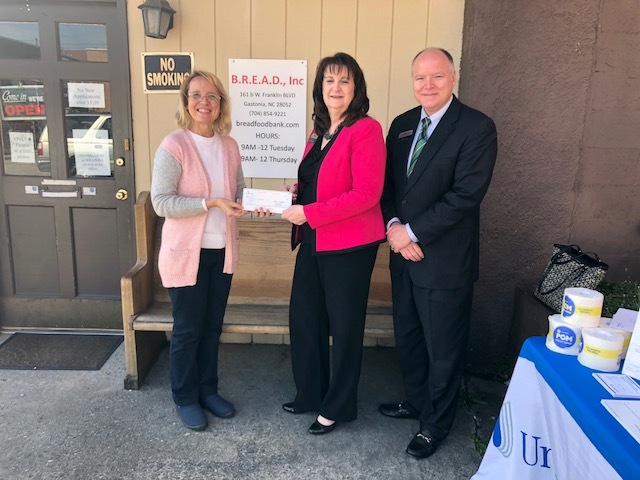 Donations made to B.R.E.A.D., Inc. at the Community Foundation of Gaston County website will be matched by a percentage of the proceeds from the 2016 Community Foundation 5K run on April 16! Last year donations were matched by about 40%. If you like to run the prizes are great! Top runner receives $1000. Runners in various age categories receive $300/$150. Here are the links! Come out to the pavilion on run day April 16 and visit our booth! Lots of morning activities for the family. March: Groceries supplied 860 times this month. February: Groceries supplied 870 times this month. January: Groceries supplied 1063 times this month. January 26. ICE! We are closed today because of the ice in our driveway and serving area. If you were supposed to come on Tuesday you may come on Thursday for service. Thank you! Happy Birthday "Sister" Lowery! She turned 89 this month! She's still at the helm of the ship at BREAD and leading the way. She believes giving and loving keeps her young. Her life supports that theory! We are grateful for all she does! 2015: Groceries supplied 11,236 times this year. DECEMBER: We will be closed Christmas week and New Year's Week. Thank you CARMAX! They did a food drive for us! What a welcome time. After our Christmas box distribution of 200+ boxes of food and 100 boxes prepared for children last Saturday we are grateful for this boost to our supply! We are grateful for your thoughtfulness and care for your community! 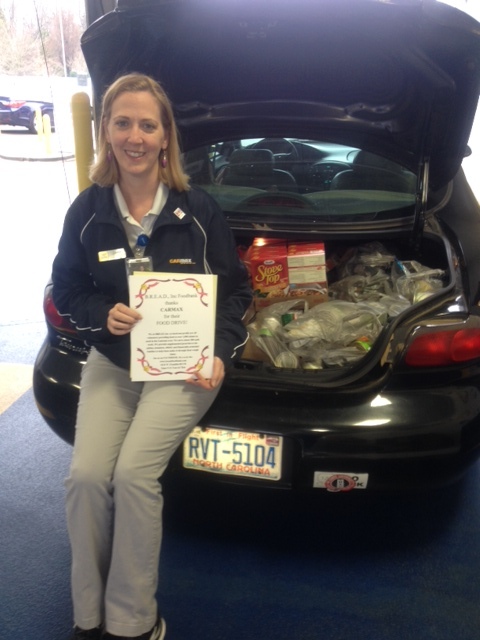 See the picture with Jen and the trunk load of food they collected! 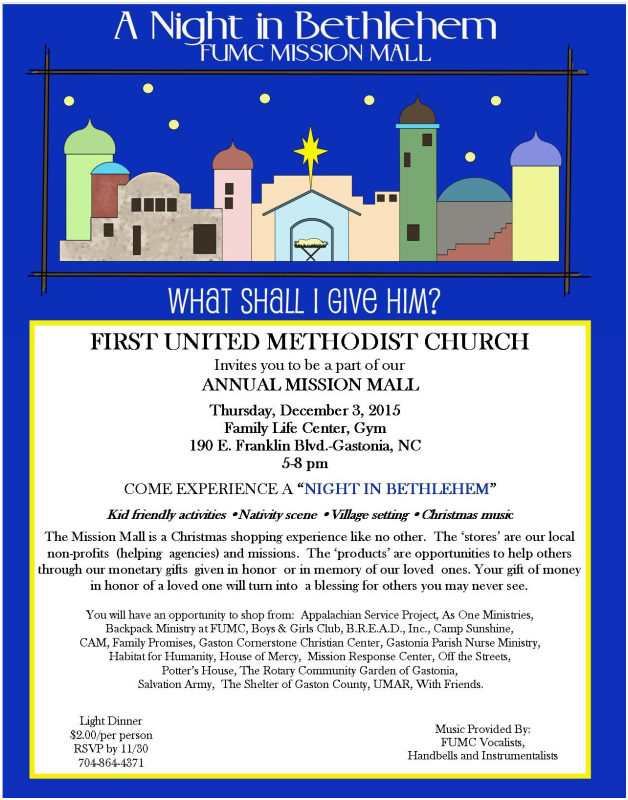 We'd like to invite you to a Giving Event hosted in the gym of First United Methodist Church in downtown Gastonia, Thursday night, December 3 from 5-8. Area non-profits that serve the community will be featured all in an all-out Bethlehem setting with music and festivities. The opportunity is to go "shopping to give" and participate in the real spirit of Christmas. When you give to the least of these you give to me, Jesus said. A light supper is provided for $2. There are kids activities and more. NOVEMBER: We provided food to clients 894 times representing 2254 family members. We were closed the week of Thanksgiving. Thanks to your donations we provided hams and Thanksgiving meal fixings to the first 100 clients on Tuesday and the first 100 on Thursday. After that the other families got regular food boxes. We helped over 380 families this week! We had a record week serving 360 clients. OCTOBER: We provided food to clients 1250 times representing 3150 family members. SEPTEMBER: Clients served 1013 times representing 2596 family members. We are closed Labor DAY week September 7-11. We will re-open Sept. 15, and 17. Last week was record breaking! We are seeing a big increase of need and new applications. One segment we serve are those who are in need due to medical problems and high medical expenses. They come in with walkers, oxygen, right after surgery, stroke victims, and some that can barely walk. Thank you for helping us help them! This summer the need has continued to increase. High power bills, due to the heat, have stressed families who have their children at home while school is out. The number of new applicants is higher than expected and continues to surprise us. 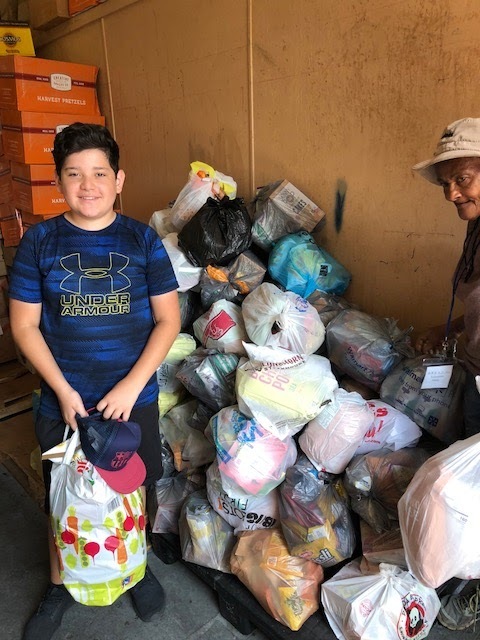 Our hearts really go out to the homeless families we see, especially when children are involved. It is a privilege for us to be able to do what we can to help make life a little easier when people are going through hard times. Thank you for your support from the bottom of our hearts. We will be closed the 7th and the 9th for the 4th of July holiday. We will reopen on the 14th. Thank you! Thanks to the G.I. 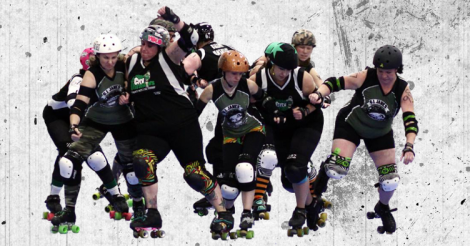 Janes Roller Derby event at Kate's Skate on Mother's Day at 6pm. Everyone who brings food donations for BREAD to the event will be entered into the drawing for Mother's Day prizes. We appreciate their community minded spirit! We've had the most unique donations recently! It's so much fun. 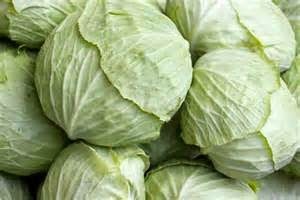 Cases of Greek Yogurt, 400 pounds of cabbage and clearance chocolate. Our clients have really enjoyed the unique additions to what they normally get. What a big blessing! Thank you all for your thoughtfulness and support! APRIL 7 and 9 we will be closed for Spring Break. See you on the 14th! Our new card system is up and running well. If you are a client and do not have a new card it will take a little extra time to get you set up in the new system but after that things will go more quickly when you come in. We will be closed today Tuesday February 24 due to snow. We hope to open on Thursday. We will be closed on Tuesday February 17 due to bad weather (snow and ice). Choose BREAD, Inc. as your organization supported and thanks so much! Happy 88th Birthday to our President, Dorothy Lowery! (Jan. 10)Years ago her Dr. gave her zero life expectancy because of her heart problems. But her heart has been given to those in need and she's lived long and keeps on going. This week she ran the front desk! Today 88 clients at BREAD braved the freezing temperatures to get food to help their families. Our address is BREAD, Inc. 161b W. Franklin, BLVD, Gastonia, NC. She would love to have a little note from you. Retiring office volunteers: Linda, Jim and Teri. 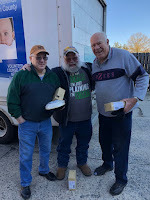 What a gift of years and love they have given to those in need through BREAD, Inc. They are loved and will be SO missed! They used their gifts with excellence and were a huge blessing to us! They may come back a few times if we get in a pinch, because they are kind like that. 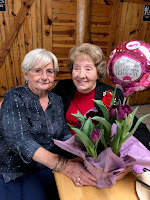 We wish them a well as they enjoy their retirement. 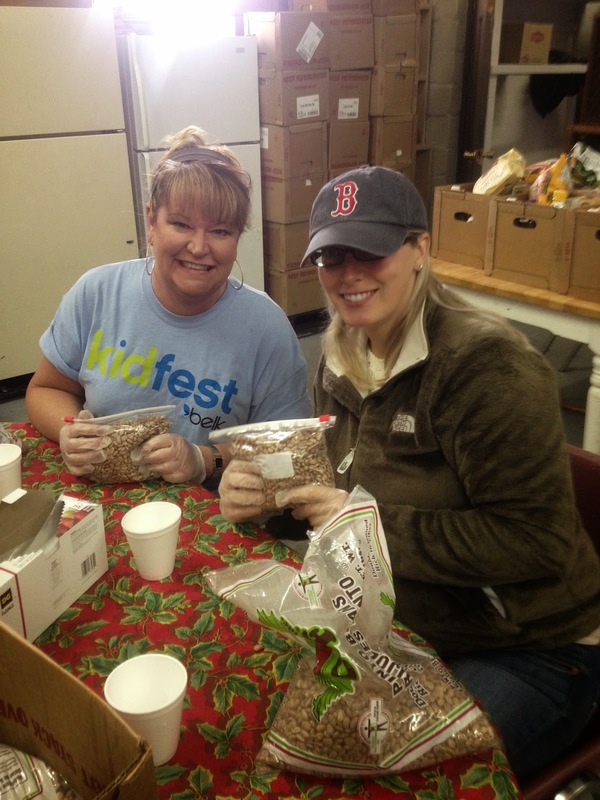 Belk Associates came to Volunteer at Bread today. We LOVED having them. 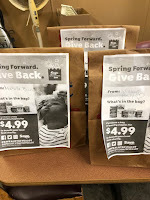 It was part of BAG (Belk Associates Give). They helped in many places, the office, the food packing room and were a big help getting our Christmas Dinner Boxes ready for distribution next week. Special thanks to Aundrea McCadams, store manager; Travis Pence, manager of Children's Department; Amanda Crosby, Loss Prevention Manager; Linda Holland, HR; and Lisa Ferraro, Visual Manager! We are CLOSED Thanksgiving week. God bless you and your families one and all! Mashed potatoes (boxed), Canned green beans and corn, Stuffing mix, Cranberry sauce, boxed dessert, and canned or frozen meat. Or maybe help one family as a family by collecting enough for one box. Thank you for your heart for others! The Downtown Gastonia Zombie Walk incorporated a can drive that brought in 1700 food items that were split between us and Salvation Army. Thank you to everyone who donated cans and food items during this event! We were blessed by a variety of foods that will help us provide a more nutritious selection to our clients! 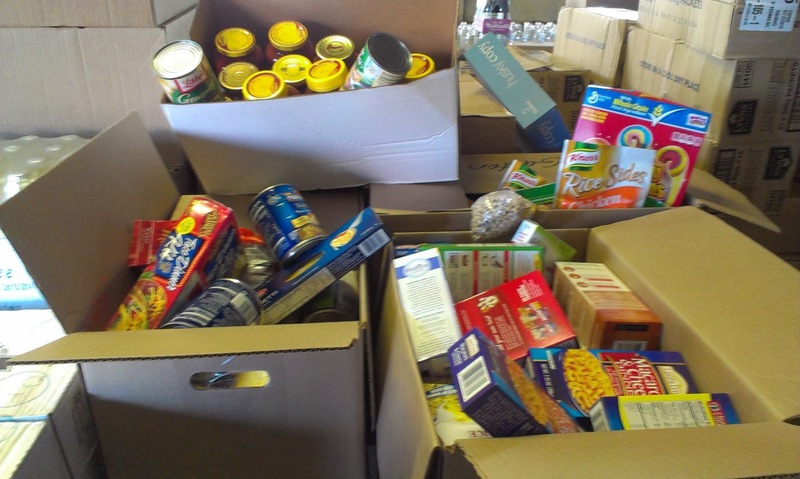 Most of our donations are boxed starches and sweets so canned vegetables, fruit and protein and a great blessing! September: Groceries or snacks and drinks provided 1, 110 times! Yard Sale: On the 25th we offered a "yard sale" to our clients (who came to pick up food) from donated items that we had received and stored until we had enough for an event. Everything, no matter how valuable, was offered for .25. We raised $55 to put towards our rent and our clients (or anyone who happened by) were able to receive a lot of great deals! Our next sale will be October 9. We welcome donations of yard sale items before that event. August: Groceries or snacks and drinks provided 1,222 times this month! 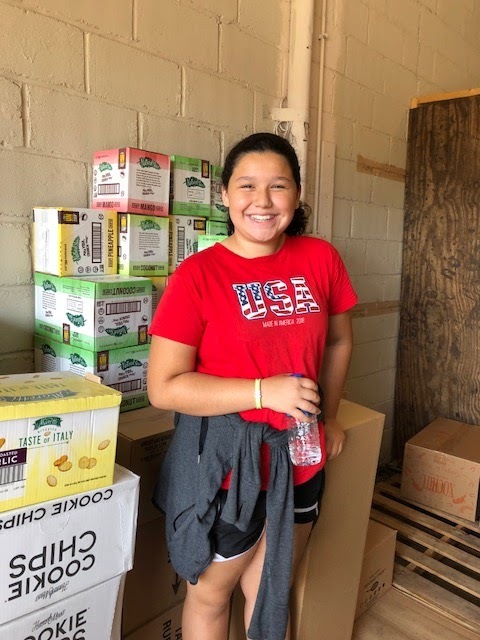 H&R Block hosted a published yard sale with 10% of the proceeds going to help feed the hungry thru BREAD, Inc.
We are closed for 4th of July week. We will open again for clients on June 8 and 10 during our normal hours, 9-12 am. June: Groceries or Snacks & drinks provided 1,296 times. Thanks to the special deals at Save-a-lot, we purchased a whole buggy of cranberry sauce for our Thanksgiving boxes for $.10/can. If you ever run across a great sale in the Gastonia area or that you could purchase and bring in for us to reimburse you, please let us know! 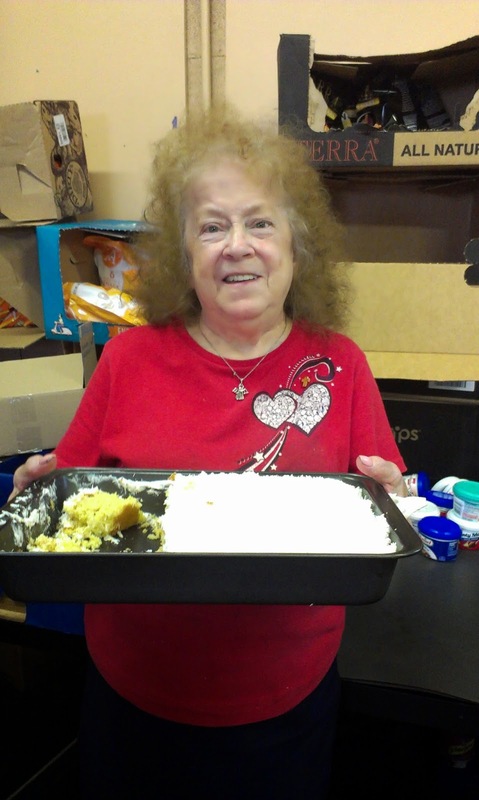 Happy Birthday to Oleeta, a volunteer for 12 years. 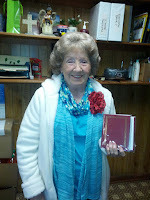 She's a faithful and hard working volunteer who now in her 80's and still going strong! May: Groceries or Snacks & drinks provided 1,128 times. Thank you to all those who donated funds during the January to April time when donations were matched by Run for the Money with the Gaston Community Foundation. Your donations were worth 40% more. We are so grateful for your thoughtfulness and support! April: Groceries or Snacks & drinks provided 1,306 times. March: Groceries/Snacks & drinks provided 1,282 times. Skarkey's Place Raw Bar & Grill is having problems with some street people bathing in their sinks and using their outdoor dining area as a bathroom, etc. 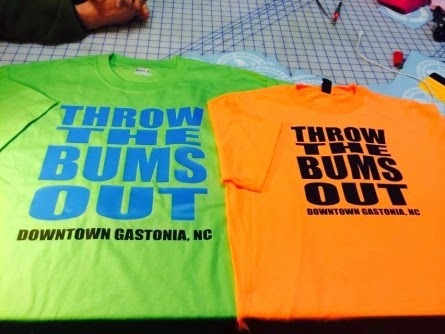 They created the "Bum" t-shirts to bring awareness to their problem. At BREAD we help with food but I wonder if street people have a bathroom accessible to them. 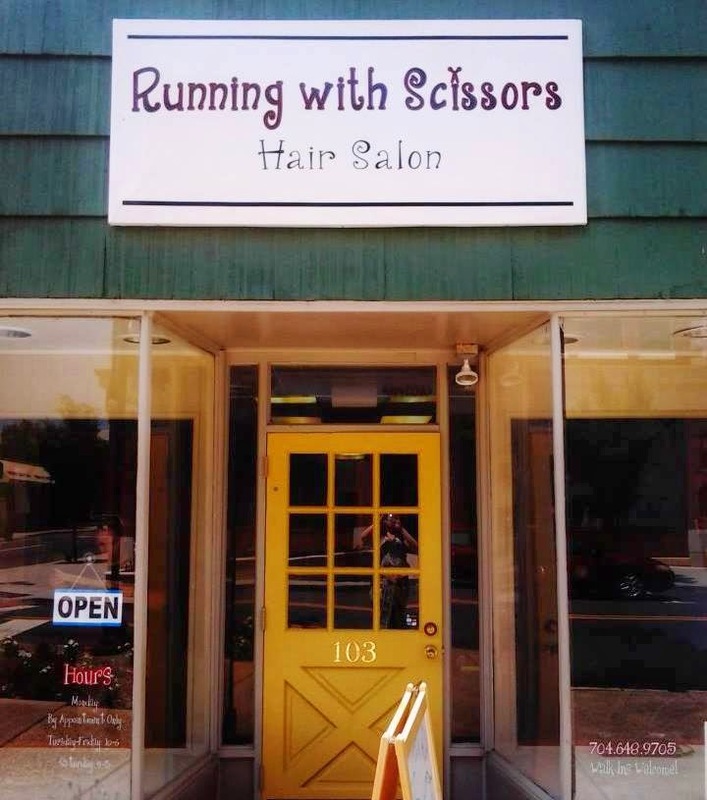 Sue Ann Robb, owner of Running With Scissors, joined with other businesses to create a different T-shirt "Support Downtown Gastonia." Proceeds from these shirts are being donated to BREAD. Maybe we at BREAD can discover what the real need is and be part of the solution! Looking for 5k runners, 2k walkers to join us April 12 to raise funds for BREAD! Sign up at this site and start getting sponsors that have a heart for families in need. Meet us at our booth on Run Day. Many local charities will be represented in the race. We would love to have you representing BREAD, Inc.! February: Groceries provided 1,179 times. Numbers down a little due to snows. We were closed our first week due to freezing temperatures. Our warehouse is unheated. Brrrrr! Nelson Hope is the owner of Carolina Burglar and Fire Alarm Service. He provides our security system and we are so grateful to him. If you are in Gaston county and want awesome security service, they are the only security service that provides local monitoring. The cost is $175 installation and $20/month. They are the oldest alarm company in Gaston County. Nelson live true to his name. Children are his heart. He gives them "Hope" by teaching music to struggling kids and helps orphanages. December: Groceries provided (including Christmas food boxes!) 2,813 times. Thanks to TYSON foods providing generous discounts for us we were able to provide some meat in our Christmas distribution boxes to the first 110 clients on Tuesday and Thursday! Many individual donors who brought bags of groceries and gave donations made it possible for us to add enough extras for a Christmas meal in each box. Thank you all from the bottom of our hearts. Hundreds of families were blessed this year due to your caring hearts and making what we do possible. Thank you to Food Lion for their contribution! They gave us two $50 gift cards to purchase extra goodies for our Christmas food boxes. We hope to put the makings of a Christmas meal in our December food boxes and the gift cards will be a big help! October: We provided groceries 2,084 times to area families in need. 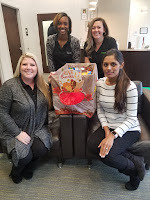 Thank you so much to the Gaston County Courthouse Clerk Of Superior Court's office for collecting groceries to help us feed those in need here in downtown Gastonia. We served 459 clients this week. We've averaged 440 clients per week this month. 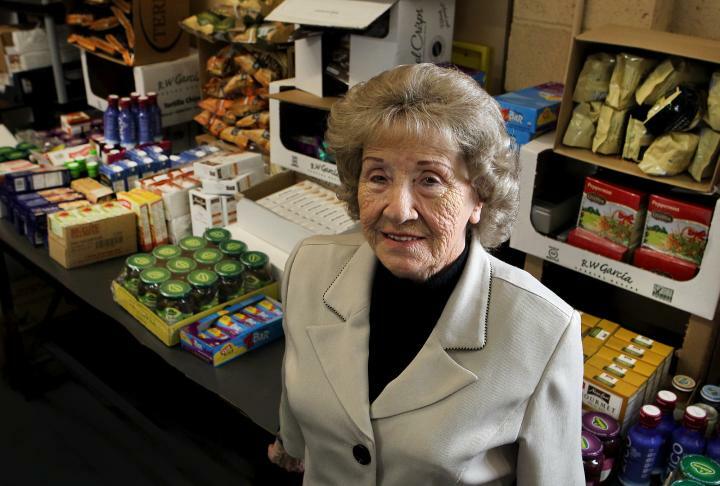 Some have talked about their struggles with the technical delays of food stamps. Many are unemployed. Most people come to receive, but one anonymous person came to give. 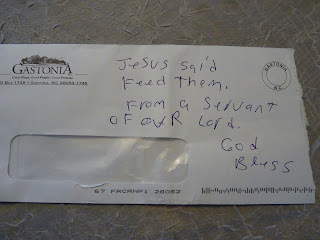 They slid this envelope under our door with cash in it. Whoever you are. We thank you for sharing your love. 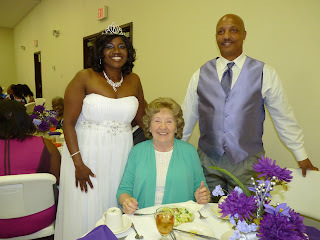 2 of our volunteers got married! Volunteering can change your life! We have no paid staff. Everyone is a volunteer and everyone is highly prized. Congratulations to Sherry and Art! Great thanks to Gloria Solomon and her great youth group from Providence Place Christian Academy that came to volunteer 2 Mondays in a row. They bagged drinks for us to give away. Each week we had over 400 clients and each one gets a bag. So that's a lot of drink bagging to do. We were grateful for this enthusiastic bunch! A truck from Texas was passing through our area and ended up with about 40 cases of pasta left over. They heard about us and brought it over. What a surprise and blessing that was! May: Groceries provided 2045 times to those in need. Thank you to ALL our contributors who made donations through the Community Foundation during the Run for the Money promotion. We are excited that these funds will be partially matched by race proceeds. 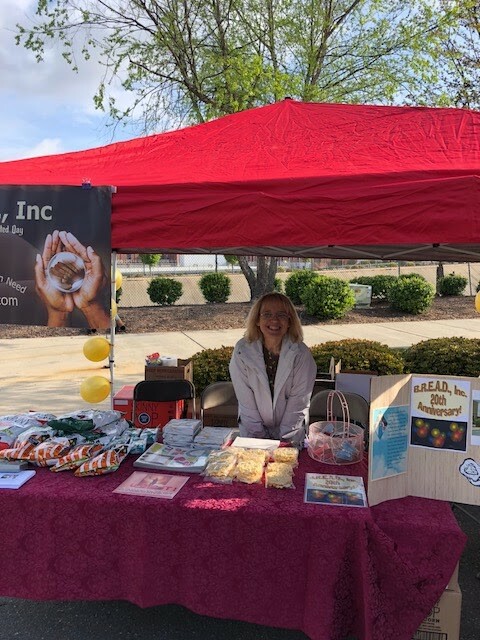 We are grateful to the Community Foundation for it's great work in helping area non-profits raise money to support their efforts to help those in our community. Dedicated hands, working together, make a big difference! 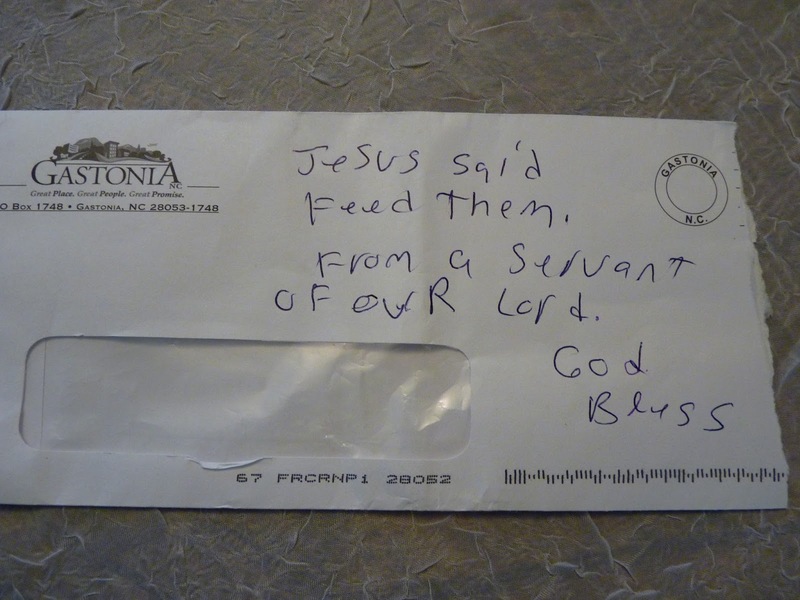 Steve, owner of the new Bacon, Inc. (near Monkey Joes in Gastonia) brought us a donation to help feed the hungry. Even with all the expensive challenges of opening a new restaurant, he still cares about his community. We decided to thank him in person and visit his restaurant. Ever eat a deep-fried bacon-wrapped moon pie? Or a secret recipe burger that included ground bacon? or bacon salted home-made potato chips? We had a bacon-liscous visit! Steve at Bacon, Inc welcomes Mrs. Lowery. 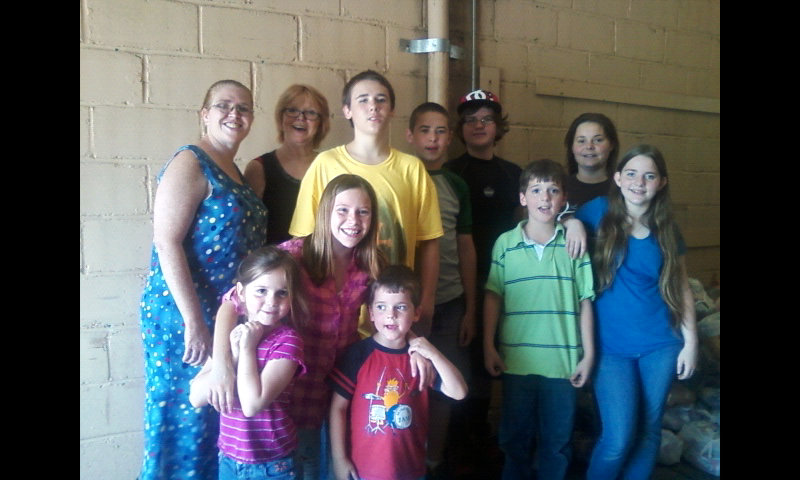 Bread, Inc volunteers visit Bacon, Inc.
April: Groceries provided 1570 times to those in need. Here's 3 of BREAD's leading ladies at Run for the Money. We gave out cold drinks and enjoyed the cool morning with all the festivities.Run for the Money, Gastonia's charity race is April 20! Please come and visit our booth at the race on Saturday morning. Race kick off is 8 AM. We'll be there til noon at the Rotary Pavilion area 111 N. South Street. We are so pleased to have 2 runners Melba Messer and Katie Reed! No April Fools! A listener who watched the news broadcast (below) worked to get us a truck of supplies! We'll open on April 9 restocked so we can continue to share with those who come. How blessed we are! And so grateful! March:Groceries provided 1738 times to those in need. We're going to be on Time Warner Cable News 14 tonight. Will post the linlk tomorrow. Our supplies are low right now at a time when there could be a jump in demand due to a problem with food stamps reported on last night's News 14. More details to come! We will be closed April 1-7. Our warehouse is nearly bare. February: Groceries provided 1680 times to those in need. Gastonia's RUN FOR THE MONEY April 20. There's a 5K run, 2K walk and matching donation opportunities. Stop by our booth for a free drink. We'd love to see you there! Donating to BREAD at the link below is the best way to donate between now and April 20 because donations are matched by event proceeds. We were so blessed to receive a donation of "bananas!" Well we started giving out the bananas and discovered they were Plantains! We cut one open and tasted it and had to spit it out. It was hard and bitter. Well, one of the 15 programs that we help, works with hispanic families. So we sent plantains their way. 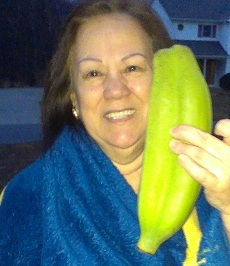 The received the plantains like gold. It was Christmas. The exclamations never stopped. It is a big favorite! They chop up the "bananas" and cook them like potatoes or wait til they are yellow and bake them with milk and sugar and vanilla. We are grateful for all the unique ways God provides for us and the unusual blessings He enjoys sending our way through open-hearted donors. January: Groceries were provided 1813 times this month to needy families. Special thanks so Jim Smothers and USAIRWAYS! US AIR has a Flights for 50 program. 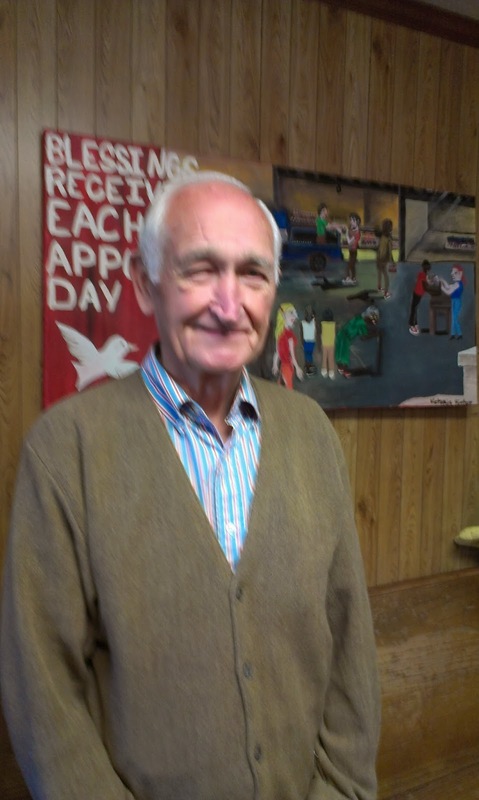 Jim faithfully volunteered every Monday and accumulated 50 hours for which USAIR donated a $500 gift card to BREAD! 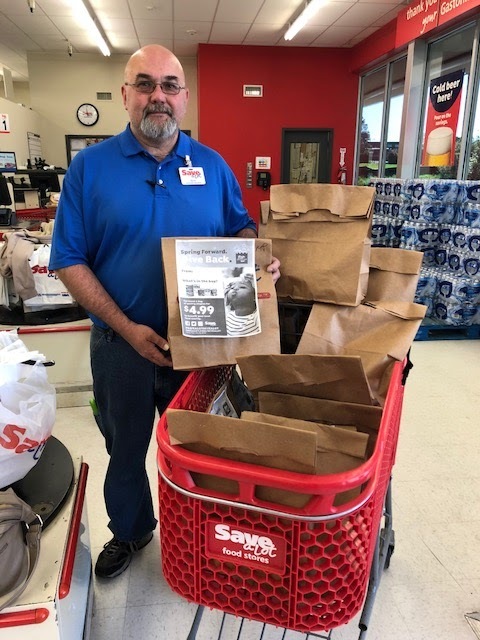 How grateful we are to Jim for his faithful service to care for those in need and for the support of US AIR to encourage their employees to help the community! Jim is featured on our Donations page. Details: We provided food 23,813 times this year to those in need! Thanks to a very kind donor, we received 400 hams to make Christmas dinner a WOW event for 400 of our families. 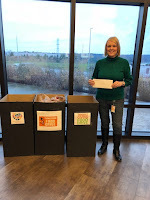 With other donation that came in we were able to give a box of food with those hams so that Christmas did not have to be bleak for those in need this year. See our pictures on Facebook. Long lines waited for this big blessing and it was a joy to have something so wonderful to provide for our clients. Merry Christmas to all our donors and may the love you've shared be returned to you in hundreds of ways this coming year. 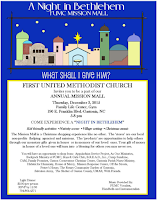 Big Thanks to the Bethesda United Methodist Chruch Day School! 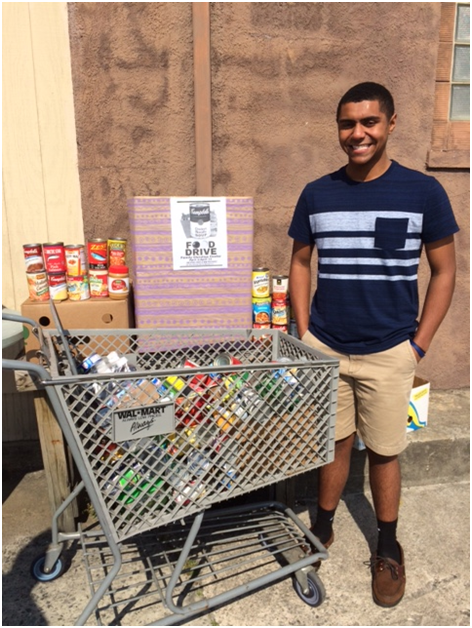 They had a can drive and collected canned and non-perishable foods that we need so much. They brought 24 bags full of food! Wow! What a great bunch of kids! More pics available on Facebook. Donations have come in from individuals of collected food and financial donations. You are the foundation we stand on. You are what keeps our doors open! Please receive our love and thanks for you make it possible for us to give and we are SO grateful for you. 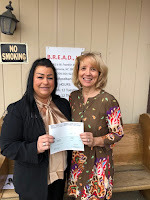 Grateful thanks to Food Lion for their corporate donation of $250! It sure came at a good time. Due to increased demand our supplies are stretched thin. See the picture on our donations page of what we were able to purchase! 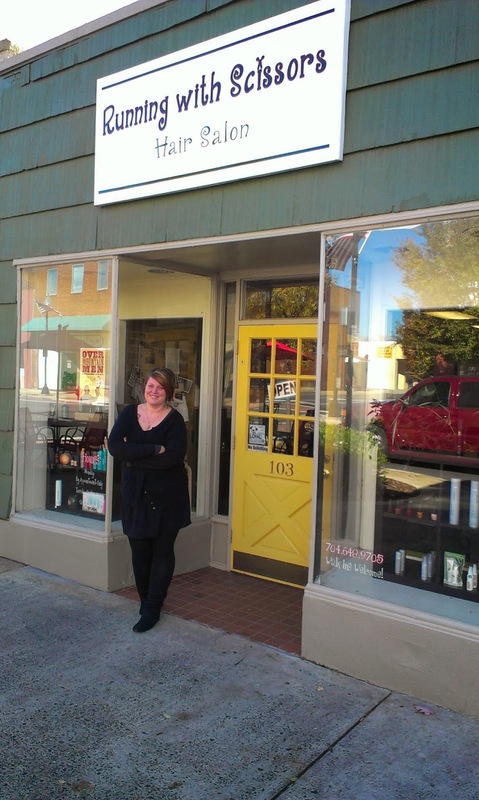 The W.Garrison store in Gastonia was very helpful and thoughtful to us. NOVEMBER: Food provided to 1878 this month! Cart fulls of thanks to Save-A-lot Grocery Stores. Our food supplies are pretty low. 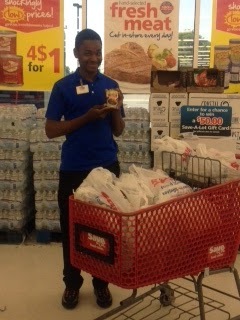 Just in time we received $300 from Save-A-Lot corporate to purchase some healthy variety of food for our food boxes! What a great staff at the W. Franklin, Gastonia store. See the picture on our donations page. Special thanks to RANLO Baptist Church for a loving gift of $188. We so appreciate the help to meet our expenses. Thank you for your continued help to get our drinks bagged up and ready for our clients. You are a group that cares and shares! Thanksgiving was HUGE! Thanks so an awesomely generous local business owner 100s of our families received Thanksgiving dinner with Ham and all the fixins. We can just imagine the suprise and joy for the children of those struggling families who aren't used to having a chance to enjoy good food like that! Our own Mrs. Lowery, was honored for her years of service to the community. A special service and luncheon was planned for her by the Ephesus SDA Church. 6 of our clients also attended this event. See the pictures under the Events tab. Great thanks to AMERICORPS for their group of volunteers who came to help us for Make a Difference Day. They sure made a difference to us! They painted, sorted clothes and food donations, and cleaned the kitchen area. Plus they were delightful to work with, willing and caring. See their pictures here under the tab Volunteer Groups. See their pictures on the Volunteer Groups page. Huge service month. We gave out groceries 2,307 times this month! That includes weekly distribution of breads, drinks and salad; and monthly food boxes that a family can receive. THANKS to FAMILY DOLLAR for a $100 gift card donation. We purchased much needed cleaning and kitchen supplies. We are grateful that you are making a difference in your community! We shopped at the store on 3125 Dallas High Shoals Hwy, Dallas, NC. Volunteers! Great thanks to RANLO BAPTIST CHURCH for coming on Mondays to help bag drinks! What a great and caring bunch you are! What a blessing! See pictures on the Volunteer page. Thanks ever so much for your help! If your group or club could help anytime, please give us a call! are low. Canned goods are our greatest need in the food department. AUGUST was a huge month! 1860 people stood in line to get extra food for their families. I wish you could be here and hear the gratitude of those who are thankful for any little bit of help to make it through a difficult week. Come and see! non-air conditioned warehouse rooms need extra thanks! That's love with sweat all over it! MAY was a record-breaking month. We averaged 600 people standing in line for food each week. The need seems to continue to increase. Brief details about B.r.e.a.d., Inc. Donations are currently accepted on this website or by mail only. 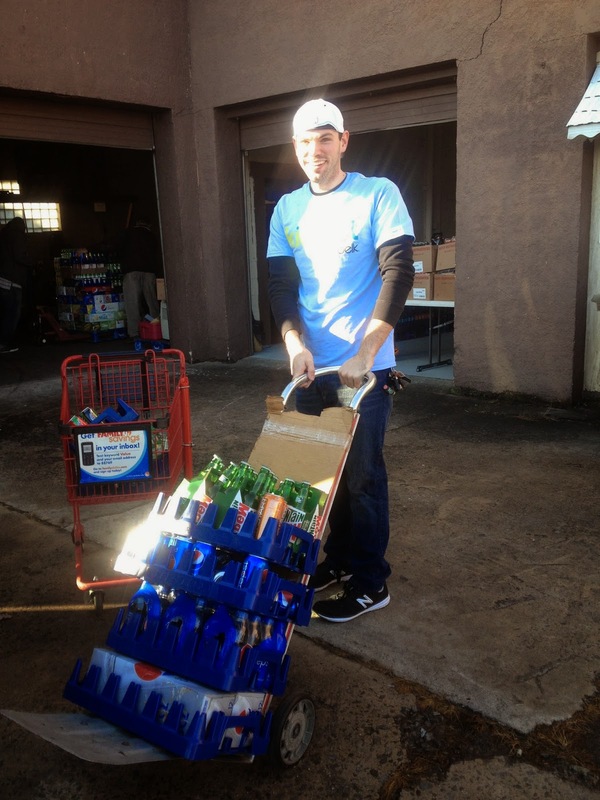 The number of times we have distributed groceries in 2011 has incresed to 22,810. Not only have we been able to help families but we've also been able to share with other non-profit organizations when we had extra food and drinks. 2010 has been a very busy year for B.R.E.A.D. 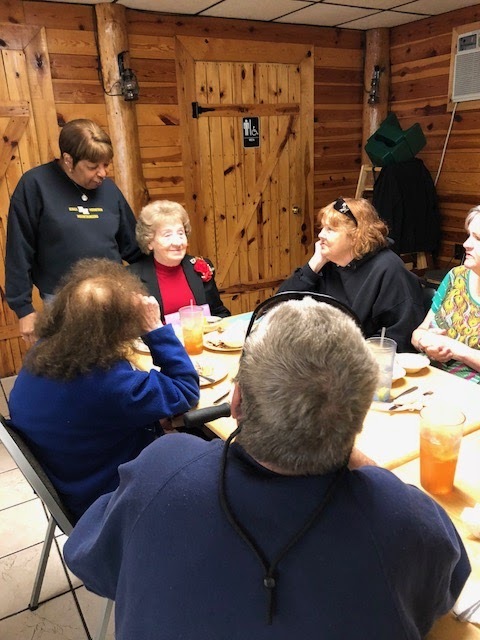 Inc.
Our dedicated team of nine volunteers are supported by short term volunteers that together provided grocieries 18,039 times to families in the Gaston County and surrounding areas. As you can see the need to help others is rapidly growing.